Prabhas to make Bollywood debut under KJo's Dharma Productions Banner? Home Actors Prabhas to make Bollywood debut under Karan Johar’s Dharma Productions Banner? Prabhas to make Bollywood debut under Karan Johar’s Dharma Productions Banner? 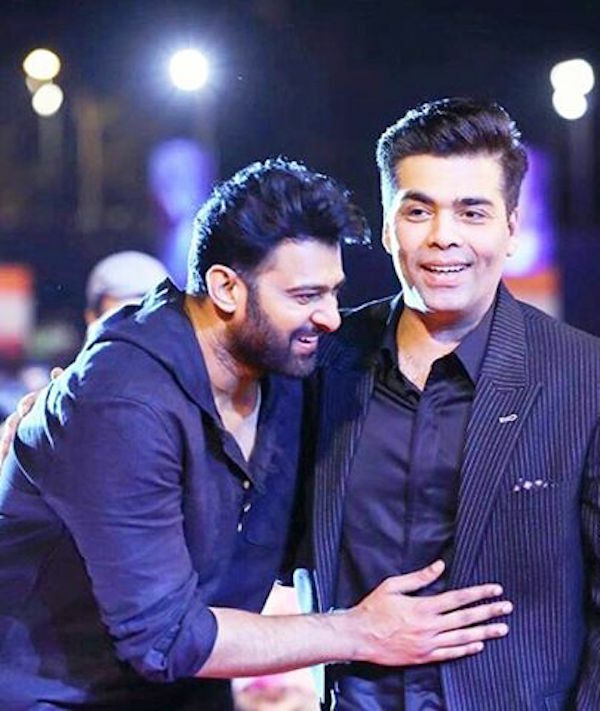 Rumor has it that Karan Johar has convinced Prabhas to enter Bollywood and has also convinced SS Rajamouli to direct his Hindi debut! Telugu superstar Prabhas is expected to soon make his first foray into Bollywood, under the banner of none other than Karan Johar’s Dharma Productions. Johar has been responsible for co-producing and distributing the Hindi versions of the Baahubali franchise, and recently met with the star of the films in Mumbai to promote the soon-to-be-released sequel, Baahubali 2: The Conclusion. Rumors suggest that Prabhas has been convinced by the filmmaker to star in an upcoming Hindi production, that will also be directed by Baahubali director SS Rajamouli himself. The huge success of Baahubali: The Beginning, which was a monster box office hit in 2015, elevated Prabhas to nationwide fame. 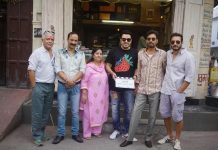 The dubbed Hindi version became the first non-Hindi film to earn over Rs. 100 crore, a testament to the actor’s popularity across the country. While Prabhas has been completely focussed on Baahubali over the past few years, it seems he is finally ready to make his Bollywood debut. Though he may be feeling exhausted after shooting for the action-heavy films, Karan Johar’s Dharma Productions is said to be teaming up with Rajamouli to showcase him as an action-romance star when he makes his Hindi cinema bow. There is no official confirmation yet about a Bollywood launch for Prabhas, but in the wake of Baahubali 2: The Conclusion’s anticipated success, it will be a great time for him to expand his repertoire. The sequel has been produced with a massive budget of Rs. 200 crore, and is believed to have already earned over Rs. 500 crore just through satellite and distribution rights, before it has even been released. Along with Prabhas, Baahubali 2 also stars Tamannaah Bhatia, Rana Daggubati, Anushka Shetty, Ramya Krishnan and Sathyaraj. It picks up from where Baahubali: The Beginning ended, and is scheduled to hit screens worldwide on 28th April in Tamil, Telugu, Malayalam and Hindi. Next articleTelevision actress Krystle D'Souza launches her official mobile app!